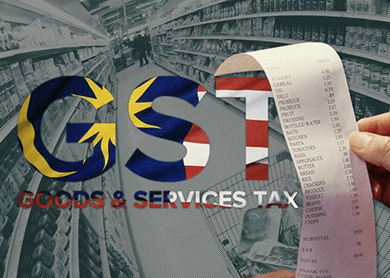 OPERATORS in the country’s free zones, which are deemed to be outside of Malaysia for tax purposes under the Customs Act 1967, were caught by surprise when they were told to pay the 6% Goods and Services Tax (GST) for services rendered and goods purchased. The development has puzzled operators, which are mostly multinational companies. What’s worse is that the confusion has caused several new investors to review multibillion-ringgit investment plans, say sources. “Investors want a clear and firm undertaking from the government that the free zones will be free from GST before committing to invest,” says one source. The London Metal Exchange (LME), the world’s largest market for futures and options contracts of base and other metals, had announced that it may stop issuing warrants for metal stored in its Malaysian warehouses in Port Klang and Johor Port if GST is imposed on its operations there. LME was later given an assurance by the government that GST would not be imposed on transactions of metal warrants in Malaysia’s free zones, and it decided to continue with its business here. But the assurance isn’t meant for others. The confusion seems to have started when the Royal Malaysian Customs Department issued a notice to warehouse and factory operators in free zones, stating that goods imported and used within the zones are subject to GST, which flies in the face of Section 161 of the Goods and Services Tax Act 1990. The Act states that “no tax shall be due and payable upon any importation of goods into a free zone, except for goods used in the zone, other than goods for the purpose of the commercial and retail trade activities approved under the Free Zone Act 1990”. Industry players say GST should not be imposed on free zones because 80% of the goods processed are for export purposes, and since GST is a form of consumption tax, it should not be imposed on goods that are not going to be consumed in Malaysia. “The Customs officials are saying that the Free Zones Act did not specify that the zones are exempted from GST. They think that only the Sale and Services Tax (SST) is not applicable to the free zones, [but that GST is]. “This has caused a lot of confusion because the operators believe that free zones should be free from any taxes. SST has been replaced with GST, so if SST was not imposed before, why should GST be imposed now?” asks a warehouse operator. However, Customs GST director Datuk Subromaniam Tholasy says free zones are still within Malaysian territory, hence the application of the consumption tax. “Free zones are part of Malaysia. If it is treated as ‘outside of Malaysia’, there is going to be a break in the supply chain,” he says, adding that services within the free zone are taxable because they are consumed there. The Edge understands that discussions are going on between LME, the Customs and MoF on whether leasing fees of warehouses and other storage facilities in free zones are subject to GST. This latest round of confusion over GST could erode Malaysia’s competitiveness in attracting foreign companies to set up regional distribution centres (RDCs) at its ports and free zones. In recent years, Malaysia has managed to attract several multinational companies to set up RDCs, with the free zone carrot being dangled. For example, France’s oil and gas giant Technip SA operates the only flexible pipes and umbilical manufacturing facility in Asia-Pacific in Tanjung Langsat Technology Park, Pasir Gudang, Johor. Deutsche Post DHL has also made Tanjung Pelepas Free Trade Zone its fifth Asian regional hub for international supply chain. Vale SA, the world’s biggest iron ore producer, has set up its Asian distribution hub, the Teluk Rubiah Maritime Terminal in Lumut, Perak, while Schlumberger Ltd is using Port Klang Free Zone as the location for its Asia Centre for Efficiency and Reliability. Malaysia’s attractiveness as a regional distribution hub is due to the relatively low land costs, good infrastructure and location, being in the middle of the East-West trading route between Asia, Europe and beyond. Malaysian ports and free zones have become the regional distribution hubs for several industries, including cotton, metals, polymer resins and fast-moving consumer goods. “Malaysia has a lot of advantages over other countries in the region. First, location-wise, it is very strategic, and in terms of connectivity to destinations globally, we are only second to Singapore. Even then, we cover about 95% of Singapore’s destinations anyway,” says an industry player. The growth of Malaysia as a regional distribution hub is due to the proliferation of free zones in the country. Almost all the major ports in Malaysia are integrated with free zones, besides the free industrial zones such as Bayan Lepas FIZ, Sungai Way FIZ and Muara Tabuan FIZ in Kuching. In contrast, the whole of Singapore is designated as a free zone, which gives the city state a huge advantage as a distribution hub compared with other countries in the region. An RDC qualifies for incentives, including full tax exemption on its statutory income for 10 years, and dividends paid from the exempt income are exempted from tax, according to an information sheet prepared by the Malaysian Investment Development Authority.